Etsy is my go to place for all things personalized (and wedding related, but I’ll touch on that another time!). Whenever I’m looking for the perfect gift for something special, it’s usually the first place I look. And who is more special than your mom?For 2019, Mother’s Day is March 31st in the UK and May 12th in the US, meaning it’s right around the corner for the moms that Sean and I care most about (ours!). 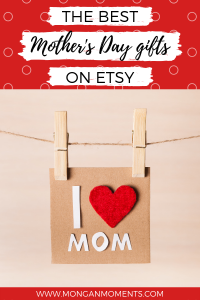 Whether you’re buying for your mom or buying on behalf of the kids for your wife, Etsy has the perfect Mother’s Day gifts. Any of these would work for any mom – they’re beautiful, practical, and affordable! Upgrade your Mother’s Day flowers game by gifting a vase, as well. 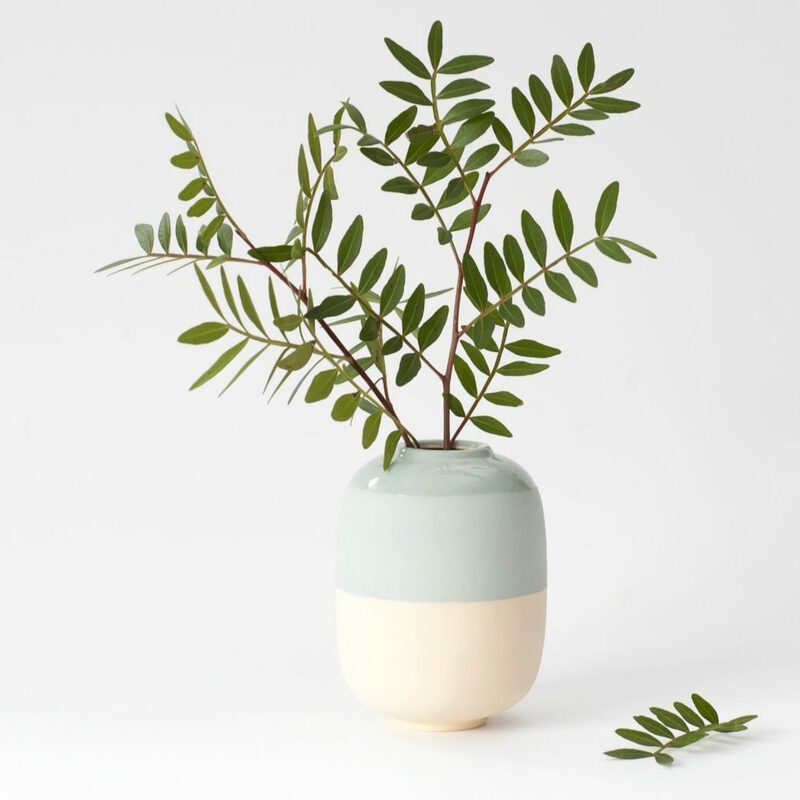 This ceramic vase is so simple but I find it to be absolutely stunning. You can customize the colors to my your mom’s favorites and then pick up a nice arrangement to put inside. When I moved abroad, my friends gave me a necklace with our hometown coordinates on it and I’ve been obsessed with these necklaces since! They’re simple enough to go with anything but the personalization makes it super special. Whether you add coordinates, a date, or some names to the necklace, you can customize it to mean the most to your mom. 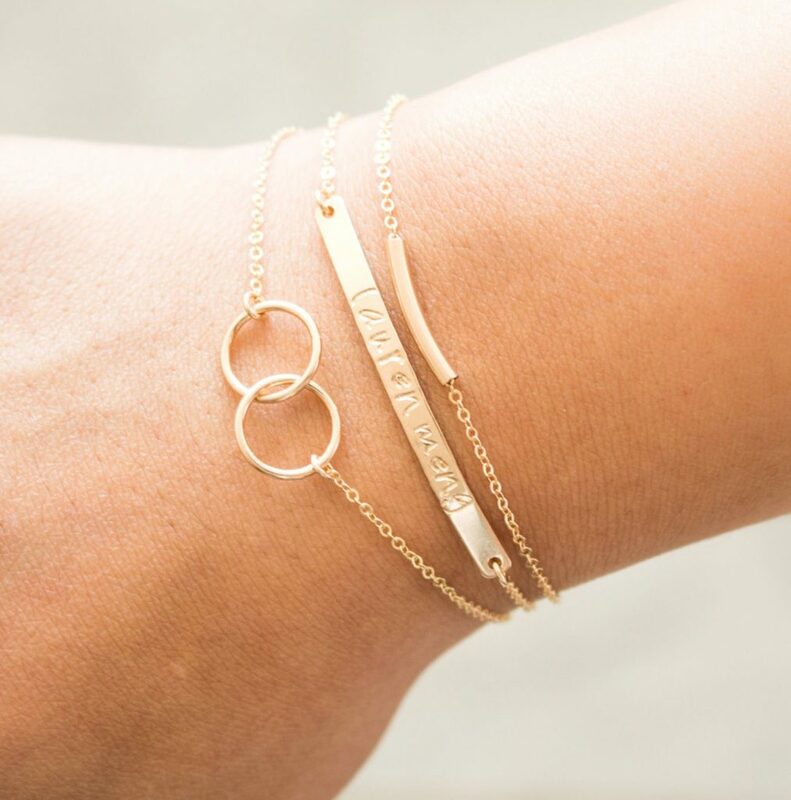 The same shop, BlushesAndGold, also has this cute and dainty 3 bracelet stack that features a personalized bar bracelet (pictured). There are some people out there who really know how to curate a perfect gift box. And, thankfully, some of them are selling on Etsy! If your mom is constantly stressed, consider purchasing a ‘Relaxation Gift Box’ for her. 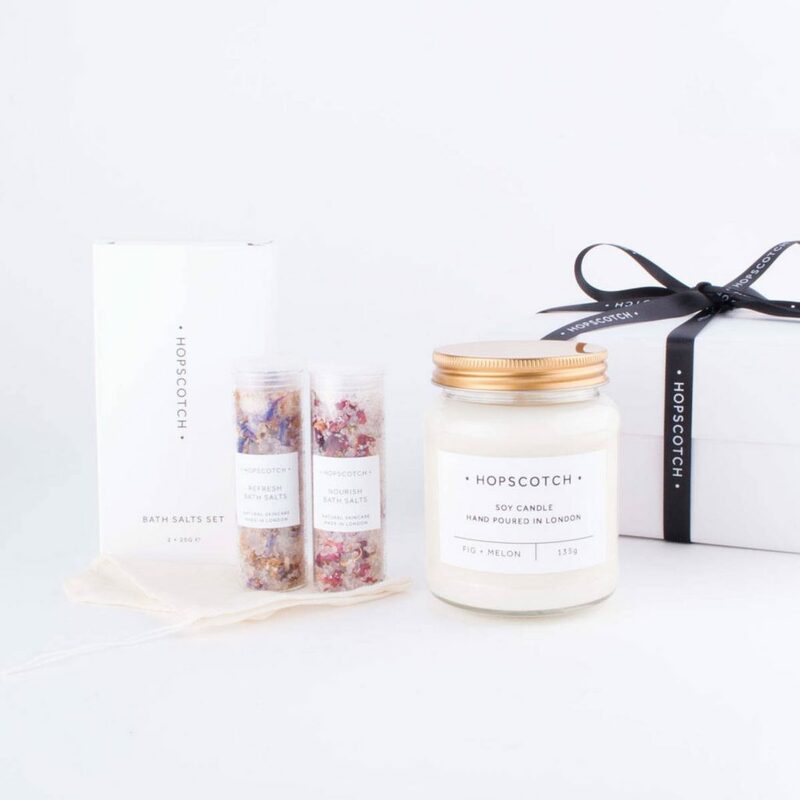 It’s filled with everything she needs to get away from it all – bath salts and a candle! Then, pour her a glass of wine and give her the evening off to enjoy them. 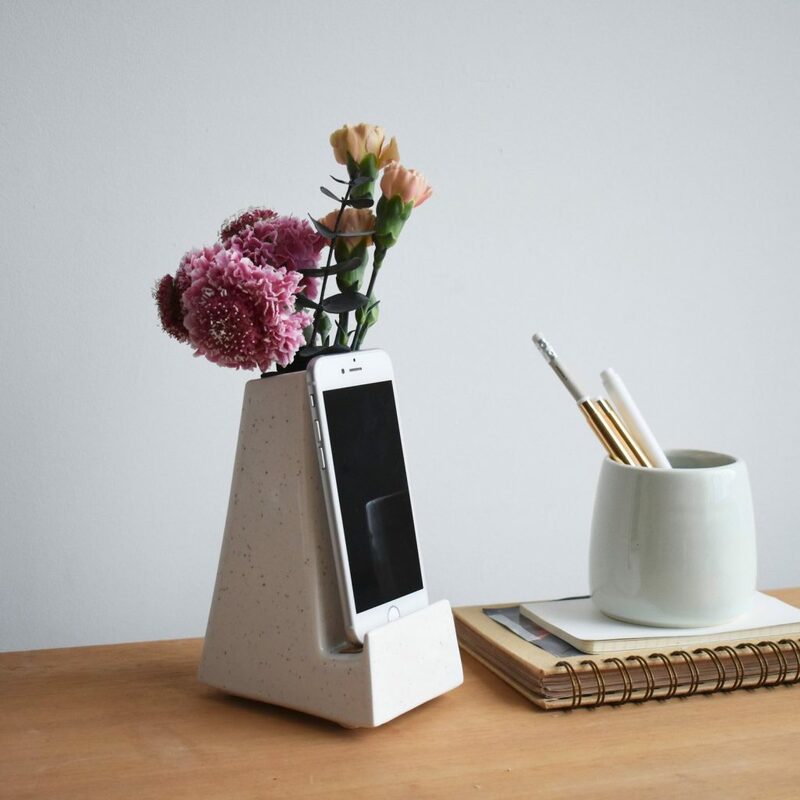 I love a good product that combines function and design, and this sleek, modern phone vase is the perfect example. If mom is constantly looking at her phone, either while at her desk or in the kitchen following recipes, why not gift her a stylish stand for it? 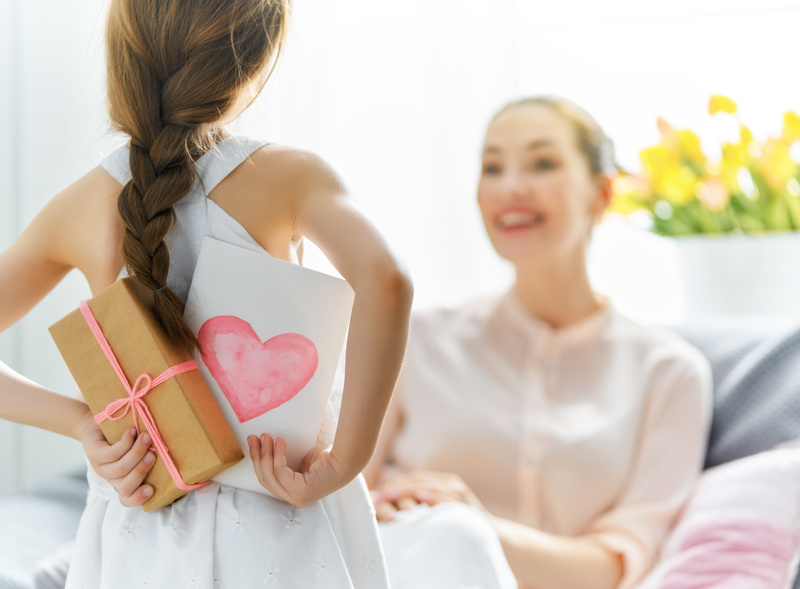 It’s also a perfect stand for Facetime, so she can look at the gorgeous flowers you gifted her while Facetiming your siblings – a perfect way to keep the fact that you’re the favorite in her head! This cute charm bracelet can feature up to 8 initials – one for each of the grandchildren! If your family is quite spread out, I love this map print that features each location in the family. It can feature up to four different locations. 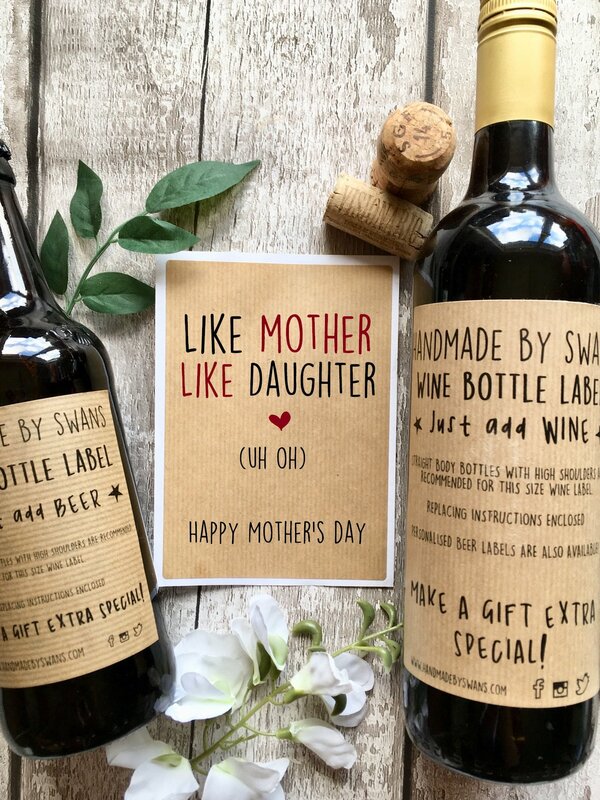 Send a cute floral card to accompany gifts handmade by the grandchildren. This shop has a card for most ‘Grandma’ nicknames, but will likely do a custom one if your kids call her something unique. Announcing a pregnancy? Promote your mom to ‘Grandma’ with a cute pregnancy announcement frame. I also love this countdown frame that applies to both grandparents. This is a super cute (and super affordable) way to customize an obvious gift – wine! Pick up a bottle of mom’s favorite stuff and slap on one of these funny labels. There’s even one for if you are your mom are both winos and one for dog moms (more on this below!). 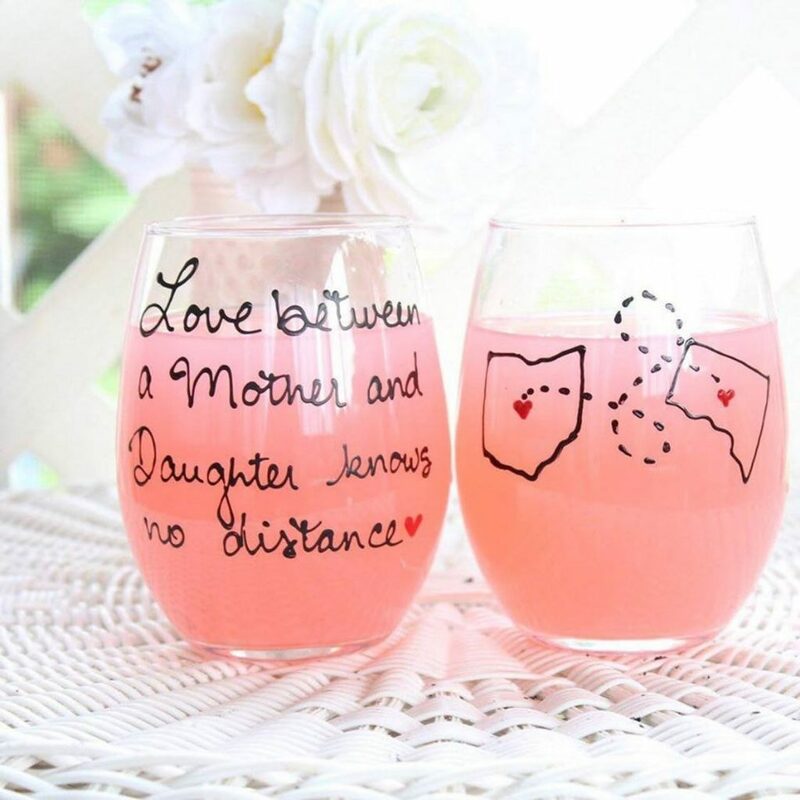 Speaking of mothers and daughters who both love wine, this hand painted wine glass is a great way to show how your love for your mom knows no distance! This one is available both stemless and with a stem. Consider buying two to show her that you have a matching one, too! When in doubt, just buy a candle! Seriously, it’s an easy go-to that you really can’t screw up (unless it smells bad, that is). 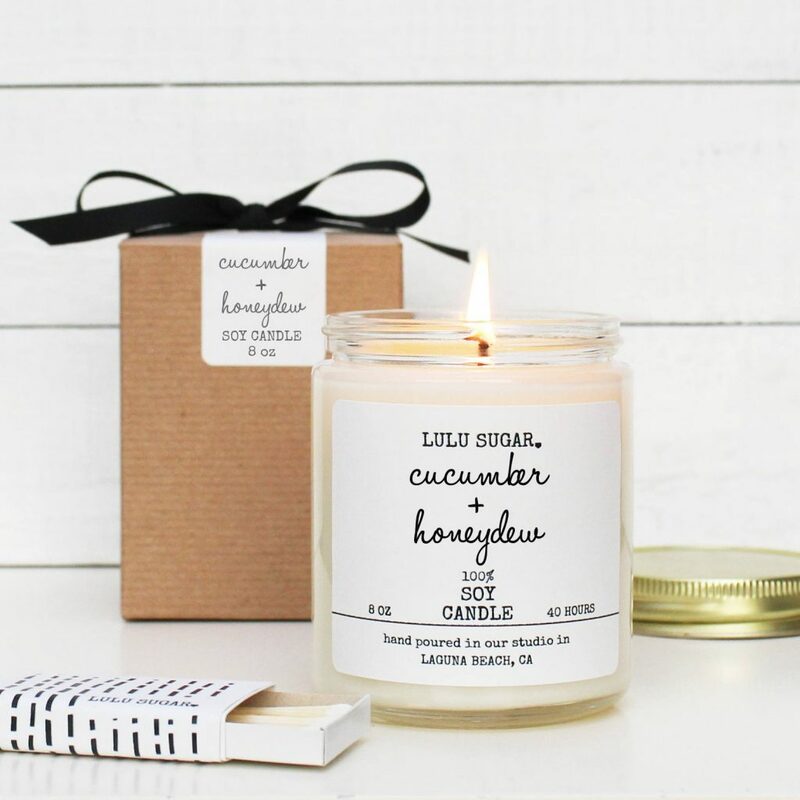 I love the look of these Lulusugar candles and there are so many scents available. Pair it with some bath salts or lotion to create your own relaxation set, or gift it on its own. If there’s one thing your mom is almost guaranteed to use, it’s probably a candle. 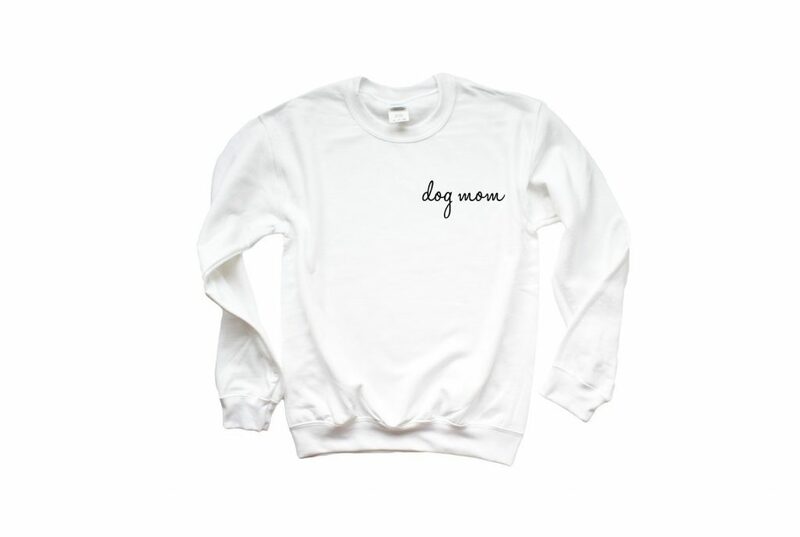 Yes, I did include this on here in an effort to hint to my husband that I want him to buy me a ‘Dog Mom’ sweatshirt for Mothers’s Day. Seriously, though, who wouldn’t want to lounge around and snuggle with their pup while wearing this perfect sweatshirt? I love the font and the placement of the slogan – it’s minimal enough that you can probably even wear it in public without looking a bit dog-obsessed (not that that’s a bad thing!). The shop, CambridgeAvenue, has some yoga themed and mama themed items as well. If your loved one loves your dog more than they love you (likely), treat them to a special portrait of the dog. 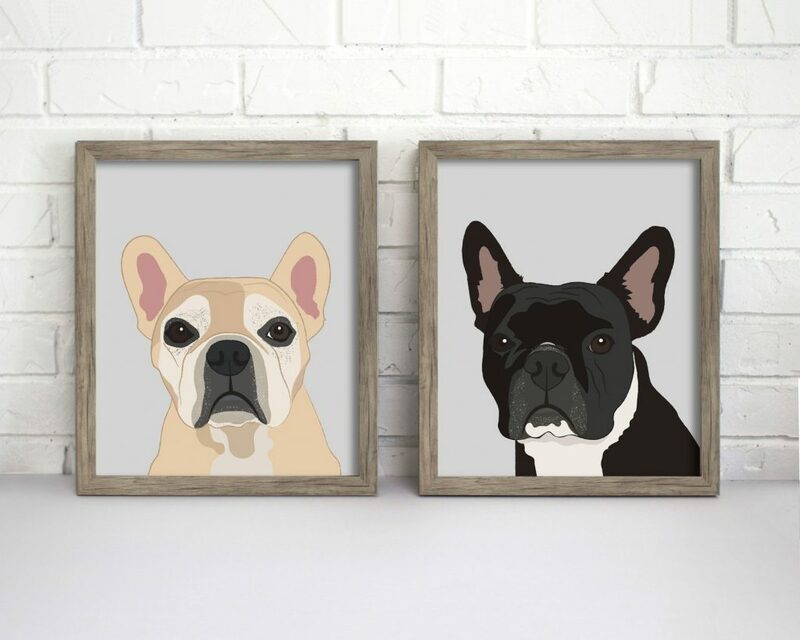 You can send in a photo of your dog and have a custom dog portrait made. Yes, I do consider buying this for Sean every time I need to get him a gift. For a slightly cheaper option, this shop allows you to choose from a selection of pre-made dog portraits. 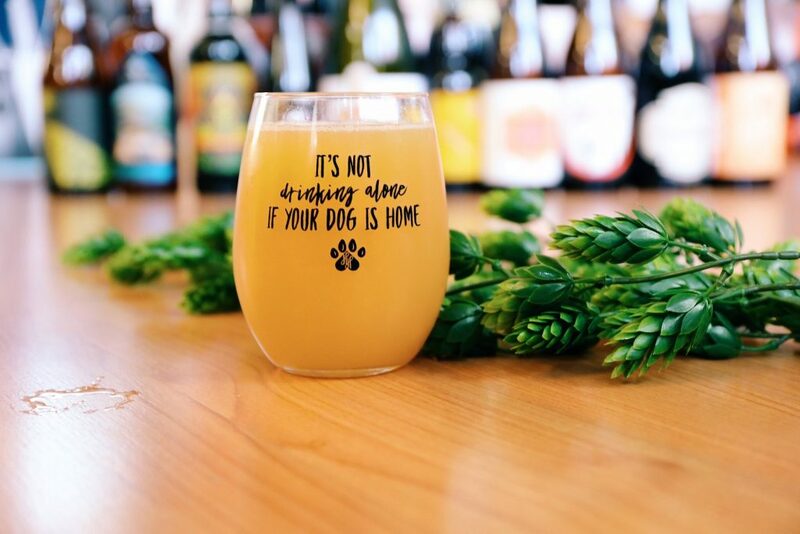 I pretty much live by the phrase “It’s not drinking alone if your dog is home”, and I love this tumbler that features the phrase. The tumbler can be used for wine, beer, cocktails, anything, really – perfect for all dog moms! And, for dachshund moms, I also love this dachshund-themed portable wine tumbler. Yes, portable. With a lid. Dog walks will be so much fun! 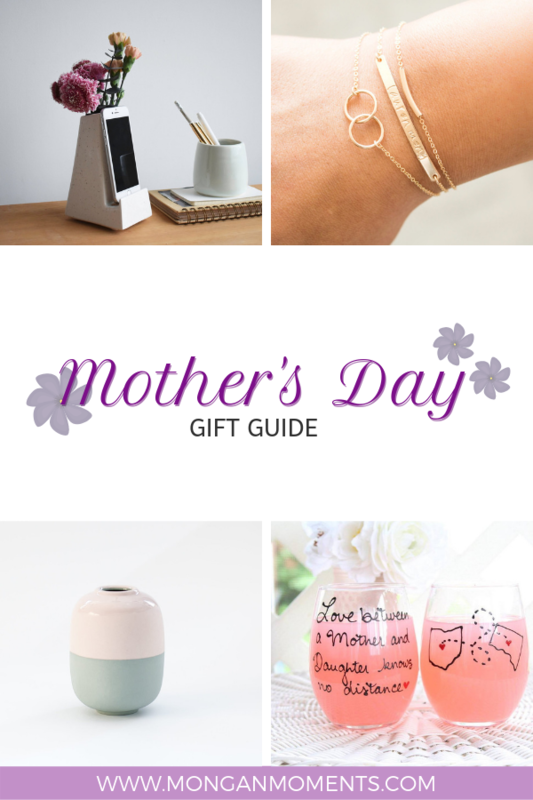 Whether you’re buying for a new mom, a grandma, or a dog mom, Etsy has so many perfect options for Mother’s Day gifts. It’s my favorite spot for finding unique, affordable gifts and I will no doubt be purchasing gifts for years to come! 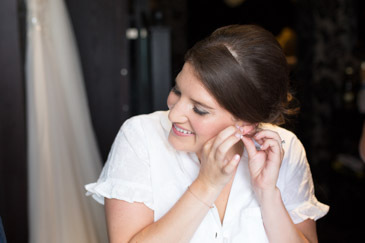 Should Your Pet Be Part of Your Wedding Day?